Dr. Bobby Jivnani, DDS is a native of Richardson and attended Richardson High School. He went on to graduate from the University of Dallas with a Bachelor of Science in biology and a Bachelor of Arts in economics. Then he attended Baylor College of Dentistry and graduated with Doctorate of Dental Surgery. 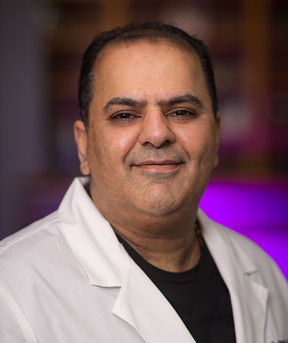 After finishing dental school, Dr. Bobby Jivnani, DDS decided to practice in his hometown, he acquired his practice from a former professor who had been in practice for more than 30 years. Since then, he has built an exclusive family and cosmetic dental practice in Richardson, a suburb of Dallas. Dr. Bobby Jivnani, DDS is an active member of the American Dental Association, Texas Dental Association, and Dallas County Dental Society. He takes many hours of continuing education to keep up with the latest advances in dentistry. He also volunteers his time at the dental society and participates in dental missions around the world. Our practice philosophy is to provide excellent dental care through conservative procedures to restore our patients’ confidence and smile. Dr. Bobby Jivnani, DDS makes sure his patients are well-educated and informed about all options regarding their dental care. We use the latest technologies and materials to provide you with outstanding dental care. Dr. Bobby Jivnani, DDS offers dental care to adults and children as young as six months old, including all general dentistry procedures, including crowns, deep cleaning, fillings, root canals, wisdom teeth extractions, implants, Philips Zoom! whitening, and Invisalign®. We are proud to care for families throughout Richardson, Plano, Dallas, Garland, Addison, Allen, and the surrounding DFW areas. We look forward to providing you excellent care. Welcome to our practice! If you would like to schedule an appointment with Dr. Jivnani, or have any questions, please contact our Richardson dental practice today!